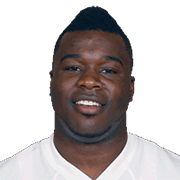 Darrell Scott (born April 16, 1989) is a former American football running back. He attended the University of South Florida, where he redshirted the 2010 college football season after having transferred from the University of Colorado. Scott attended St. Bonaventure High School in Ventura, California. Scott was considered the #1 running back of the 2008 high school class by Rivals.com and has drawn comparisons to LaDainian Tomlinson.